Showing results for tags 'Blue Devils B'. Here are the schedules for tonight's two shows. A Blast in the Burg -- Johnsonburg, Pennsylvania 7:08 p.m. -- Impulse 7:24 p.m. -- Stentors 7:40 p.m. -- Raiders 7:56 p.m. -- Music City 8:12 p.m. intermission 8:37 p.m. -- 7th Regiment 8:53 p.m. -- Legends 9:09 p.m. -- Spartans (all times Eastern) Percussion on the Pearl -- Muscatine, Iowa 7:18 p.m. -- Guardians 7:36 p.m. -- Louisiana Stars 7:54 p.m. -- Colt Cadets 8:10 p.m. Intermission 8:26 p.m. -- Gold 8:42 p.m. -- Vanguard Cadets 8:58 p.m. -- Blue Devils B (all times Central) Guardians' position in the schedule will throw off the judges a bit, I would guess. Genesis, River City Regiment, and Shadow have the night off. Who knows what scoring lurks in the minds of judges? Here's the lineup for tonight's show in Oregon, Wisconsin (times are Central): 7:26 p.m. -- Guardians 7:42 p.m. -- Louisiana Stars 7:58 p.m. -- Colt Cadets 8:14 p.m. -- Gold 8:34 p.m. intermission 8:50 p.m. -- River City Rhythm 9:06 p.m. -- Blue Devils B 9:22 p.m. -- Vanguard Cadets 9:38 p.m. -- Shadow That's one interesting performance order; by the current standings it would be: 10th > 9th > 12th > 8th > 15th > 1st > 2nd > 13th -- it's almost like a TOC show! 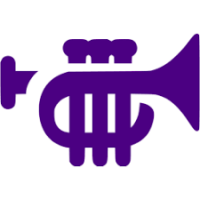 Please use this thread to report from Legends Drum Corps Open -- Three Rivers, MI 7:08 p.m. LakeShoremen (SoundSport) 7:18 p.m. Les Stentors 7:34 p.m. Raiders 7:50 p.m. intermission 8:10 p.m. Music City 8:26 p.m. 7th Regiment 8:42 p.m. Legends (times are Eastern) or Show of Shows -- Waukesha, WI 7:23 p.m. Kilties (all age) 7:39 p.m. Shadow 7:55 p.m. Impulse 8:11 p.m. intermission 8:41 p.m. Colt Cadets 8:57 p.m. Spartans 9:13 p.m. Blue Devils (times are Central) There should be no rain at either show. Last night in Troy, Legends beat Spartans by 1.5 pts., so it will be very useful to see how close Spartans can get to BDB tonight. Not to mention to see how Music City does against O.C. corps after their strong showing Friday in Nashville. "March On!" starts in less than a half-hour in Minnesota, with this line-up (times are Central): 7:10 p.m. Colt Cadets 7:26 p.m. River City Rhythm 7:42 p.m. Genesis 7:58 p.m. intermission 8:18 p.m. Vanguard Cadets 8:34 p.m. Blue Devils B 8:50 p.m. Govenaires (all age) 9:06 p.m. Minnesota Brass (all age) There is a slight chance of thunderstorms, but I don't see anything too close on the NWS radar. If you're there, please post here! So Cal Classic O.C. Championship is tonight. The show begins at 4:00 p.m. (PDT) at Bellflower High School. DCI shows the line-up in alphabetical order, which seems dubious to me. It would likely give an edge to SCVC over BDB, though. Here I order them by most recent score, lowest to highest: Incognito (40.800) Blue Devils C (46.750) Thunder (49.700) Impulse (53.150) Watchmen (54.500) Golden Empire (58.300) Gold (59.050) Blue Devils B (65.750) Vanguard Cadets (66.700) Will Thunder break 50? Will Impulse catch Watchmen? Will Golden Empire overtake Gold? Will Blue Devils B come out ahead of Vanguard Cadets? If you're there, please chime in! Organized by latest score, on the model of Spandy's DCA thread. For a weighted list of all DCI corps for the past week, see hostrauser's threads in the W.C. forum. For comparative graphs of any two corps over time, select DCP's "Scores / Stats" button above. 1. 82.325 - Blue Devils B (8/8 Indianapolis, IN) [+1.525 8/7] 1st at O.C. Championships; Season Complete (at 1st [15th W.C.]) 2. 80.200 - Vanguard Cadets (8/8 Indianapolis, IN) [+0.900 8/7] 2nd at O.C. Championships; Season Complete (at 2nd [18th W.C.]) 3. 74.075 - Genesis (8/8 Indianapolis, IN) [-1.100 8/7] 3rd at O.C. Championships; Season Complete (at 3rd [23rd W.C.]) 4. 74.050 - Spartans (8/8 Indianapolis, IN) [-0.375 8/7] 4th at O.C. Championships; Season Complete (at 4th [24th W.C.]) 5. 71.575 - Music City (8/7 Indianapolis, IN) [-1.400 8/5] 8th at O.C. Championships; Season Complete (at 6th [27th W.C.]) 6. 71.475 - 7th Regiment (8/8 Indianapolis, IN) [-0.875 8/7] 5th at O.C. Championships; Season Complete (at 5th [25th W.C.]) 7. 71.250 - Gold (8/7 Indianapolis, IN) [-2.875 8/5] 6th at O.C. Championships; Season Complete (at 7th [28th W.C.]) 8. 71.000 - Legends (8/7 Indianapolis, IN) [-2.675 8/5] 7th at O.C. Championships; Season Complete (at 8th [29th W.C.]) 9. 66.250 - Raiders (8/7 Indianapolis, IN) [-2.850 8/5] 9th at O.C. Championships; Season Complete (at 9th [31st W.C.]) 10. 65.450 - Louisiana Stars (7/21 Lafayette, LA) [+3.450 7/15] Season Complete (at 7th) 11. 63.150 - Colt Cadets (8/7 Indianapolis, IN) [-2.850 8/5] 10th at O.C. Championships; Season Complete (at 11th [32nd W.C.]) 12. 61.275 - Guardians (7/19 San Antonio, TX) Season Complete (at 10th) 13. 60.625 - Coastal Surge (8/7 Indianapolis, IN) [-4.350 8/5] 11th at O.C. Championships; Season Complete (at 13th [33rd W.C.]) 14. 58.300 - Golden Empire (7/13 Cerritos, CA) [+0.700 7/12] Season Complete (at 8th) 15. 57.950 - Impulse (7/13 Cerritos, CA) [-0.100 7/12] Season Complete (at 10th) 16. 57.425 - Stentors (8/7 Indianapolis, IN) [-3.800 8/5] 12th at O.C. Championships; Season Complete (at 16th [34th W.C.]) 17. 55.600 - Racine Scouts (8/7 Indianapolis, IN) [-3.250 8/4] 13th at O.C. Championships; Season Complete (at 17th [35th W.C.]) 18. 55.400 - Columbians (7/6 Tri Cities, WA) [+3.200 7/5] Season Complete (at 10th) 19. 51.250 - Blue Saints (8/7 Indianapolis, IN) [+0.325 8/4] 14th at O.C. Championships; Season Complete (at 19th [36th W.C.]) 20. 50.450 - City Sound (7/13 Cerritos, CA) [-0.450 7/12] Season Complete (at 13th) 21. 50.050 - Watchmen (7/13 Cerritos, CA) [+0.500 7/12] Season Complete (at 14th) 22. 47.150 - Blue Devils C (7/13 Cerritos, CA) [-1.000 7/12] Season Complete (at 18th) 23. 46.375 - Patria (8/7 Indianapolis, IN) [+2.425 8/4] 1st in International Class at O.C. Championships; Season Complete (at 23rd [37th W.C.]) 24. 45.650 - Incognito (7/13 Cerritos, CA) [+0.600 7/12] Season Complete (at 19th) 25. 43.700 - Eruption (7/6 Tri Cities, WA) [+2.400 7/5] Season Complete (at 15th) Final scores for all corps. North Iowa Festival of Brass Forest City High School Stadium 206 N. School Street Forest City, IA 50428] Friday, August 1, 2014 -- 7:00 p.m. (CDT) Corps in performance order: --Blue Saints --Racine Scouts --Colt Cadets --Gold --Music City --Spartans --Blue Devils B --Governaires (all age) --Minnesota Brass (all age) More information, including rehearsal sites, can be found here. A Knight of Music in Motion Bakken Field Harding High School 1540 East 6th St. St. Paul, MN 55106 Wed. July 30 -- 6:00 p.m. (CDT) Corps in order of appearance: Governaires (all age) Blue Saints Racine Scouts Colt Cadets Gold Music City Spartans Blue Devils B Minnesota Brass (all age) The show website also says that all-age corps Chops, Inc. is performing, presumably in exhibition. It appears that Chops is the event host. The show should be a half-hour underway; NWS radar indicates good weather. Rhythm Across Rice Lake Friess Family Community Campus Rice Lake High School 30 S. Wisconsin Ave. Rice Lake, WI 54868 Monday, July 28 -- 7:00 p.m. (CDT) Corps:--Blue Saints --Music City --Racine Scouts --Spartans --Blue Devils B So last night's Greendale lineup, but with Music City in for Colt Cadets. Another show for which DCI says "ticket information ... will be available soon". No rain in the NWS forecast; temperatures expected to be in the upper 60s when the show starts. Can Spartans cut into BDB's lead? Or will BDB pull farther away? How close can MC get to the leaders? And will Saints be able to pass the 50 mark before the season ends? Greendale High School 6801 Southway Greendale, WI 53129 Sunday, July 27 -- 7:30 p.m. (CDT) This is the line-up: Kilties (All Age) Blue Saints Racine Scouts Colt Cadets Spartans Blue Devils B NWS says scattered showers this evening. Radar indicates they've been cycling through for a few hours now. Seven Open Class corps and one World Class corps tonight. Should have started at 6:00 p.m. PDT, with this line up: Incognito Golden Empire Blue Devils C City Sound Impulse Blue Devils B Vanguard Cadets Mandarins Plus some exhibition performances.